Just got back to L.A. after 10 creative days in New York City. It was an amazing time spent with old friends as well as meeting new ones. First, I hung out in the Gowanus Art Building playing live music for alexx makes dances’ performance of this dance is stolen. Next, I performed at my old stomping grounds, the awesome LIC Bar. Thanks to Gustavo Rodriguez for hooking us up! And thank you to everyone who came out to the show despite the heavy rains. While there, we made some new friends including David, the founder of an awesome fashion brand called SUDA-NYC – check out their unique, South American-influenced gear. I’d also like to thank Alan Weintraub & Hugo Muñoz for sitting in. It was a blast. 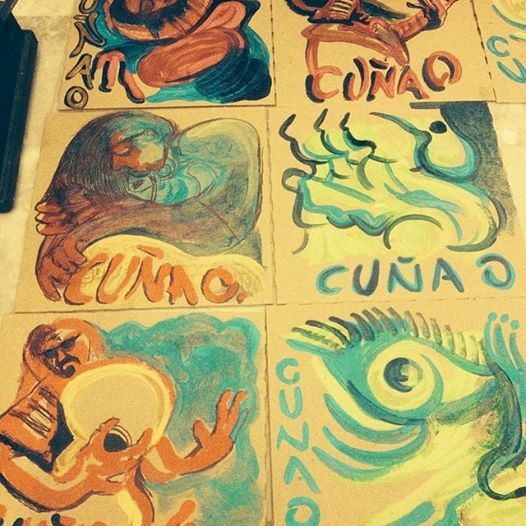 Hugo killed it by creating original artwork for the EP Llano, Llanero, Lloron. If you were lucky to get your hands on one of them, post it online! I’d love to see which one you took home. April is shaping up to be just as awesome, so if you’re in Los Angeles, come check us out at one of our upcoming shows.